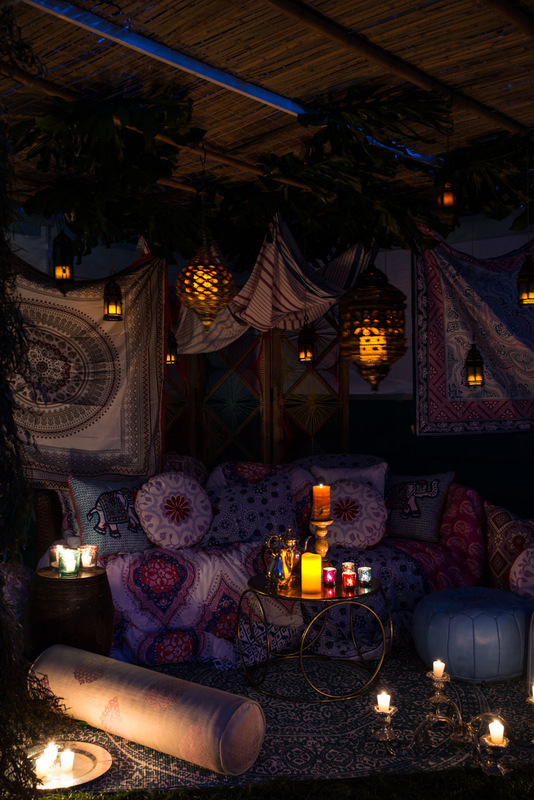 Celebrating Jews from around the world, we wanted to incorporate Sephardic traditions by including beautiful and colorful Moroccan Lanterns and ornate tea glass candles to set the mood under the night sky. 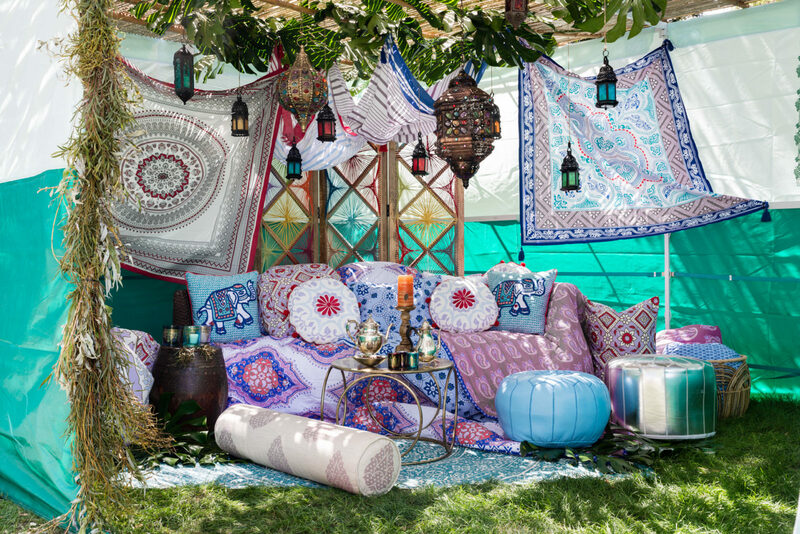 Bountiful bohemian linen, plush pillows, thrown blankets and outdoor carpet create a relaxed and comfortable setting for relaxing and soaking in the beautiful fall setting all around. This is a wonderful environment for chatting and sleeping and lends itself to a relaxed and laid back feel complete with food, family and friends. When the night sky appears, a romantic glow shines throughout creating a picturesque and romantic fall setting.